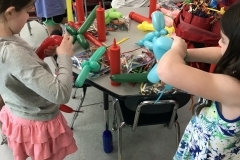 Naomi believes that once you can make a balloon dog, you can do anything. 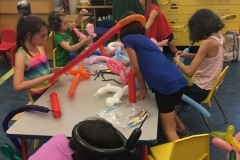 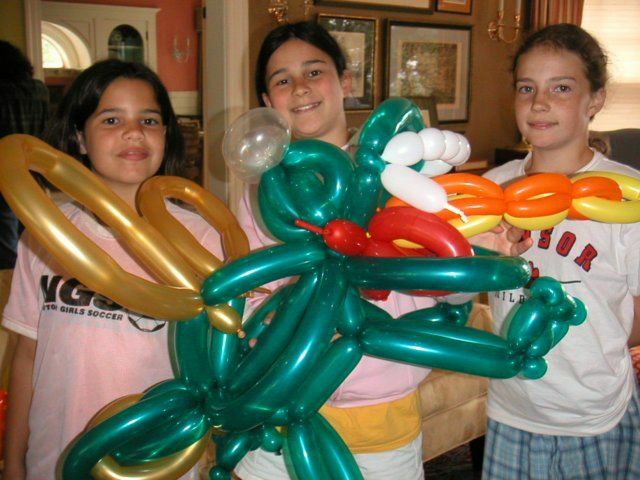 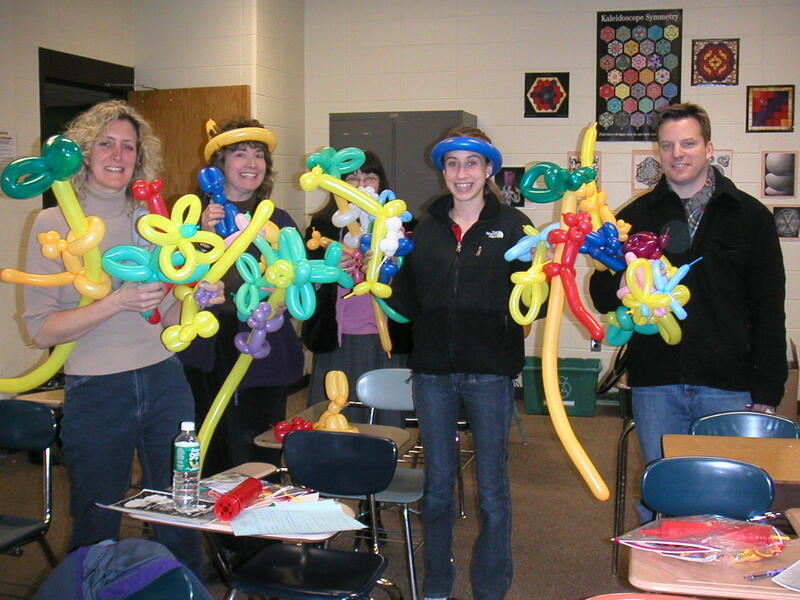 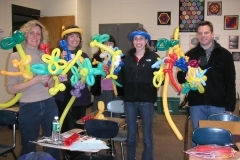 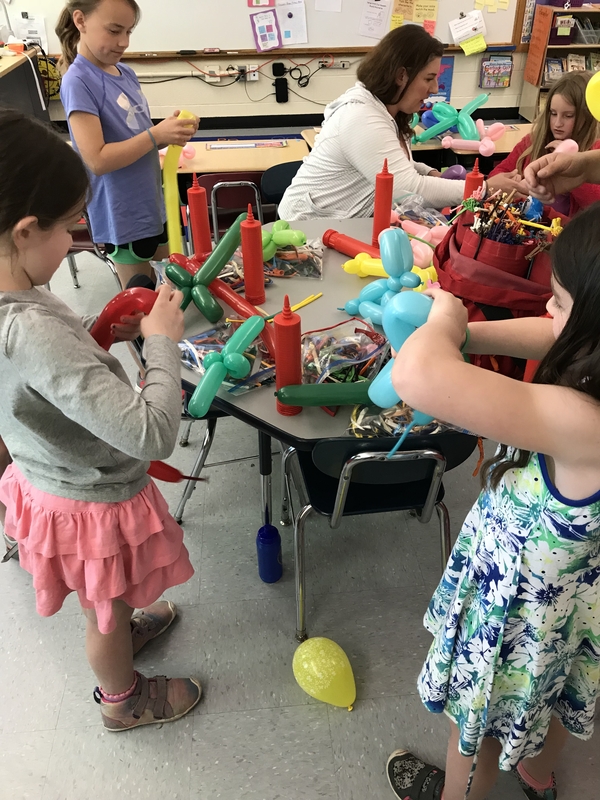 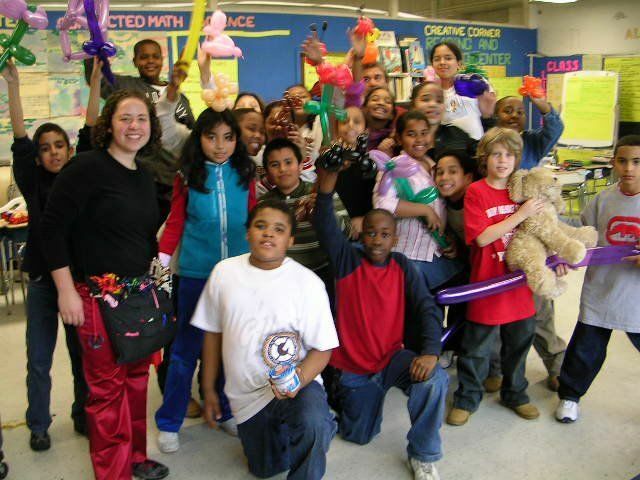 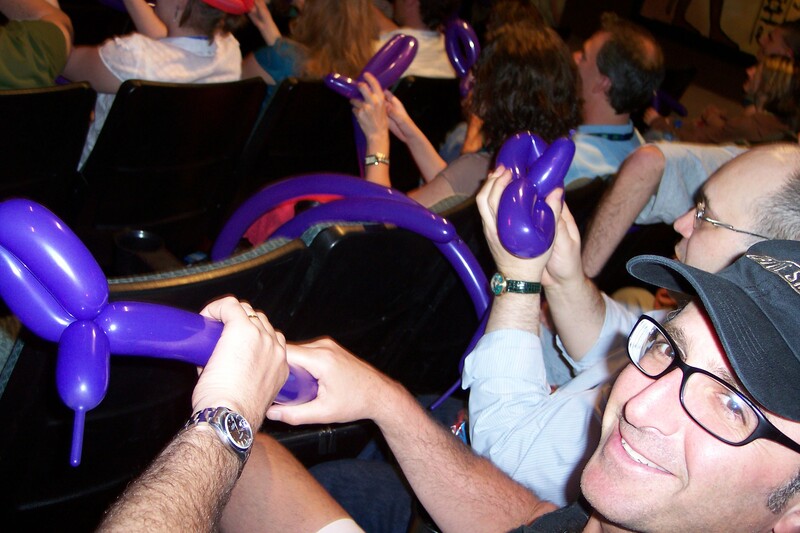 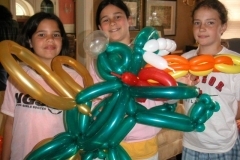 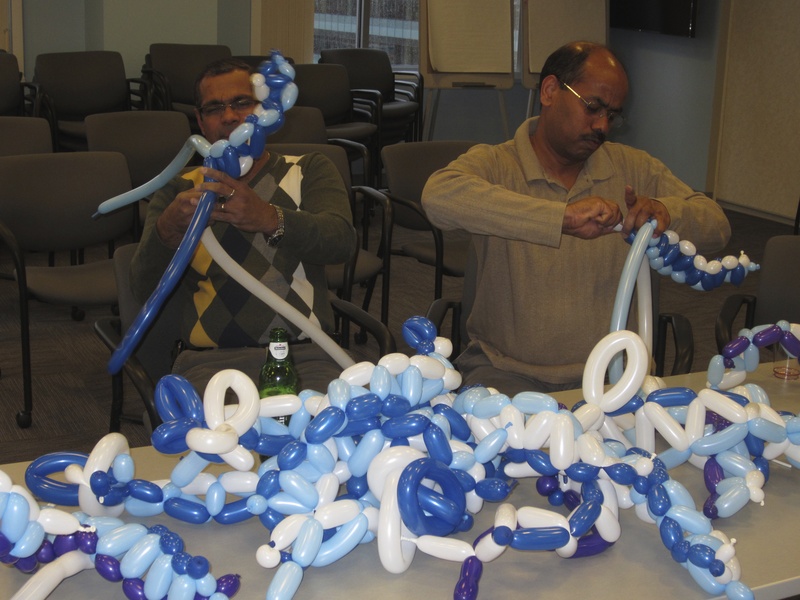 Balloon dogs are the simplest creations to make and they are the building blocks of all advanced sculpture building. 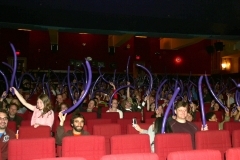 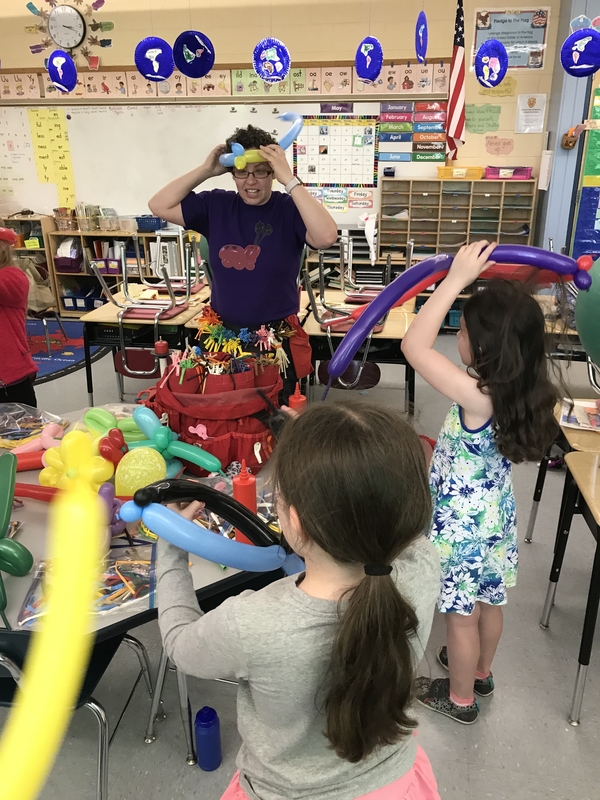 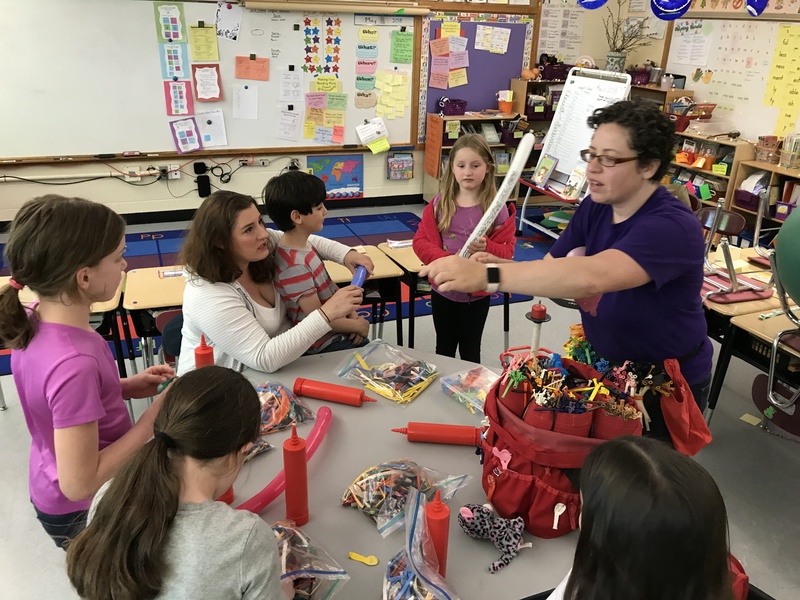 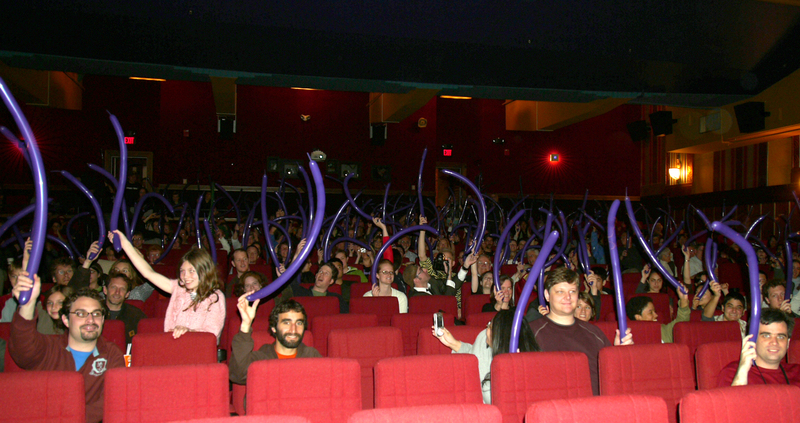 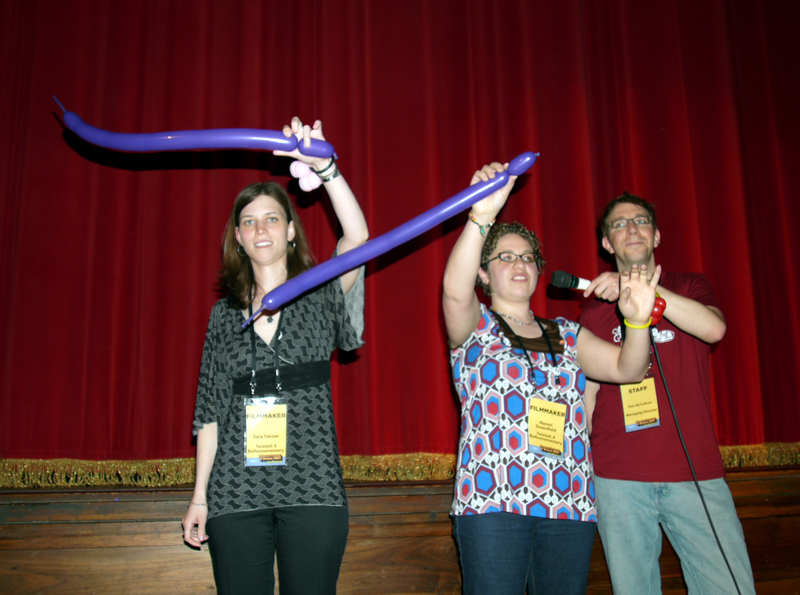 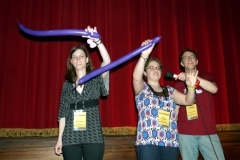 Naomi has taught balloon twisting at private homes, schools, community education centers, and even to audiences at film festivals. 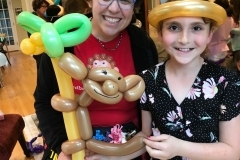 In under 2 hours, Naomi can teach people young and old who say “I could never do that” to make dogs, flowers, hats and monkeys on palm trees. 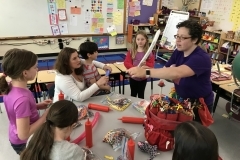 Contact her to schedule a private workshop or lesson for your group. 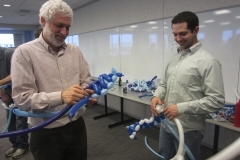 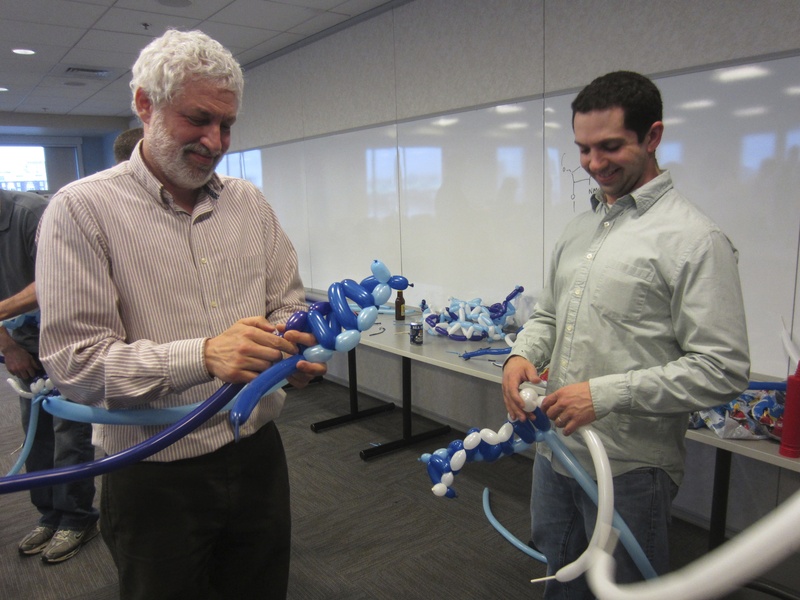 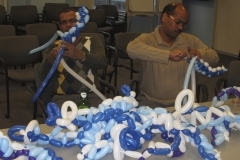 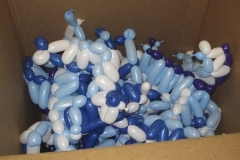 Cost of workshop will include a balloon pump and a starter pack of balloons for each participant. 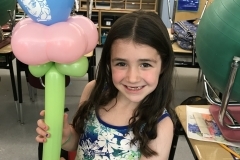 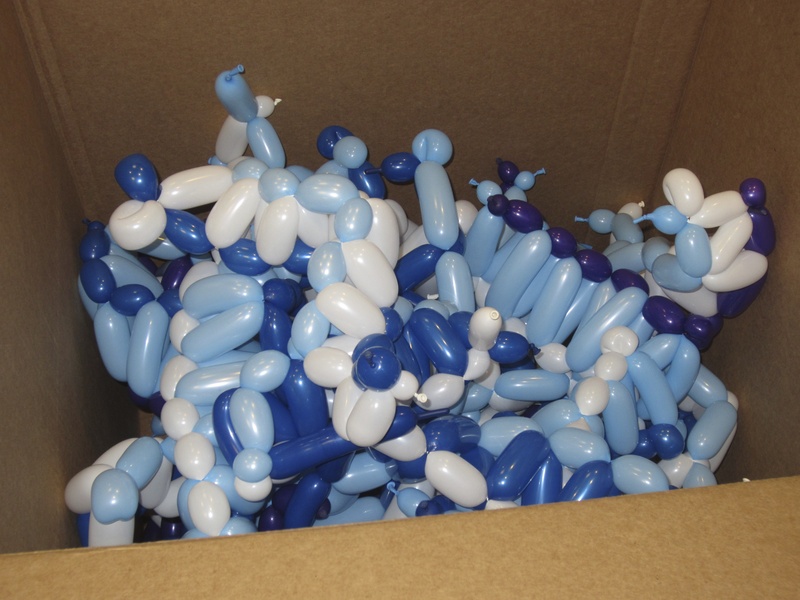 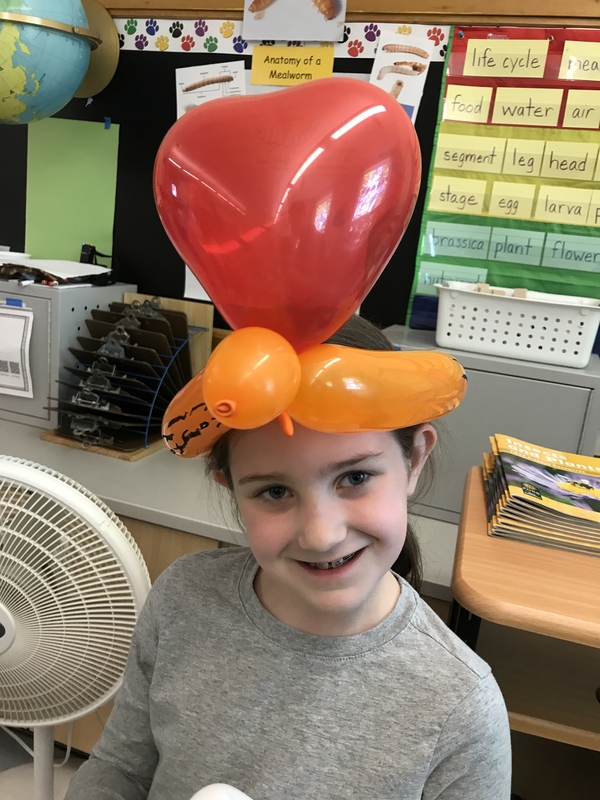 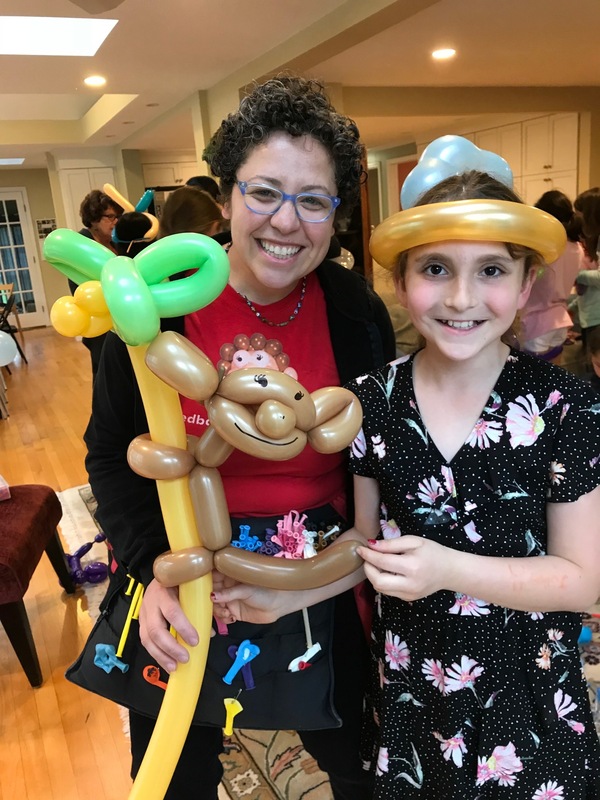 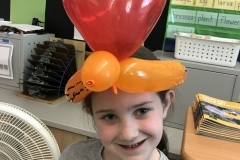 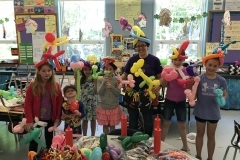 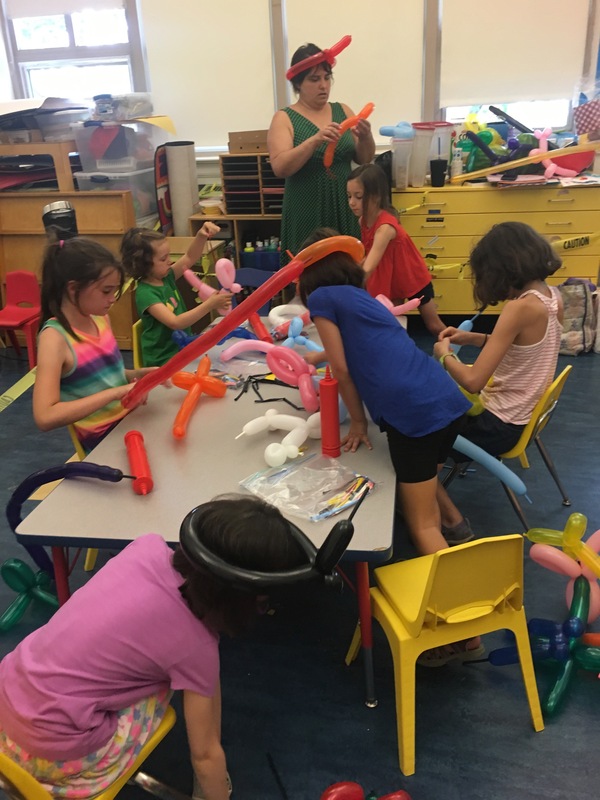 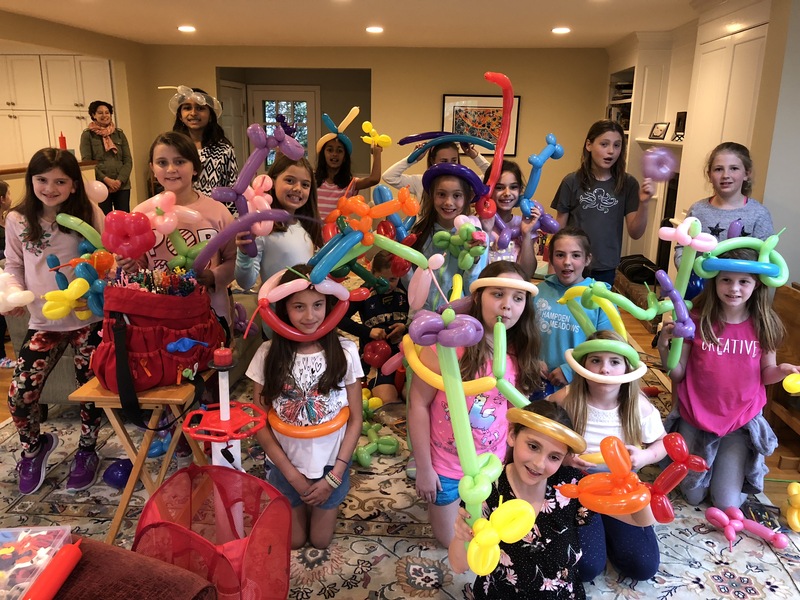 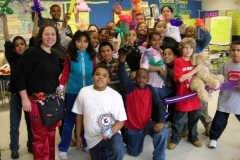 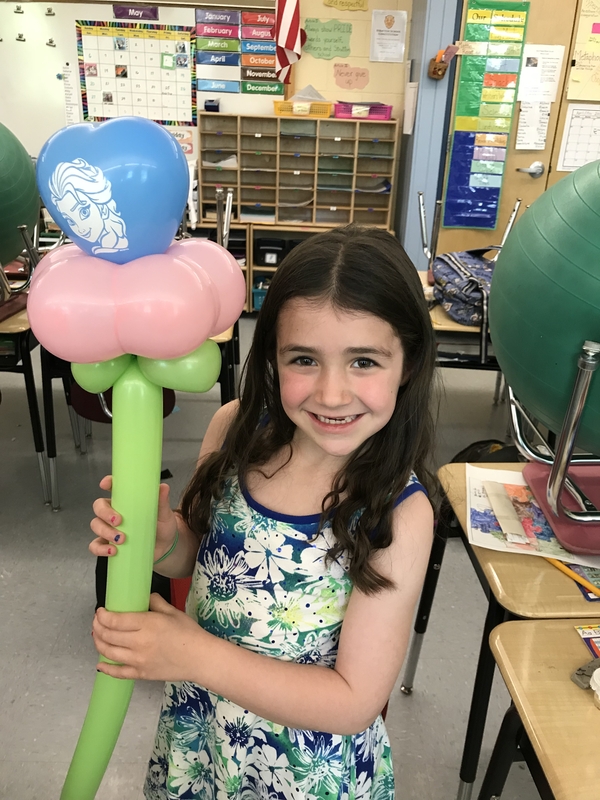 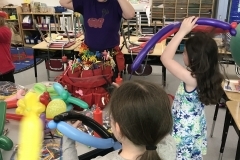 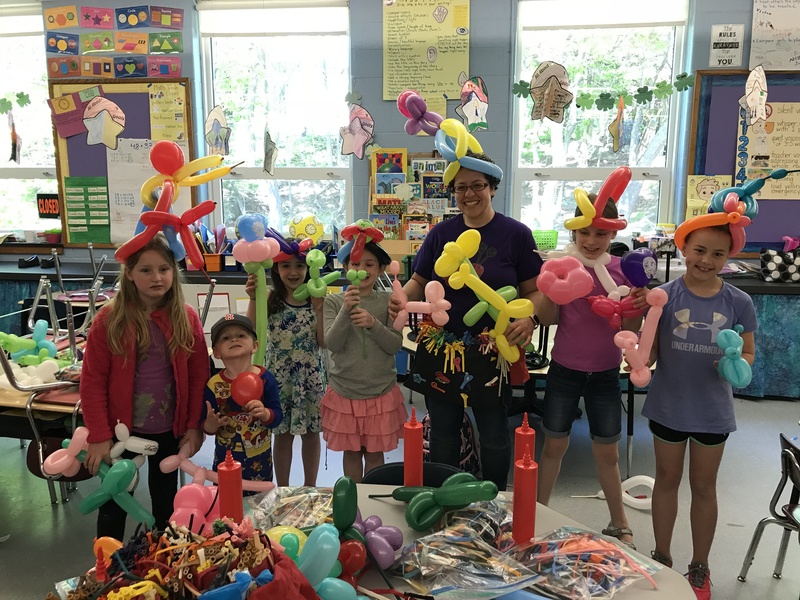 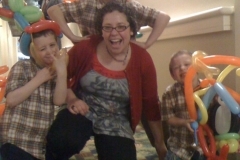 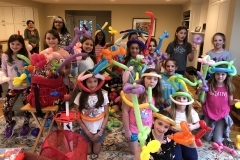 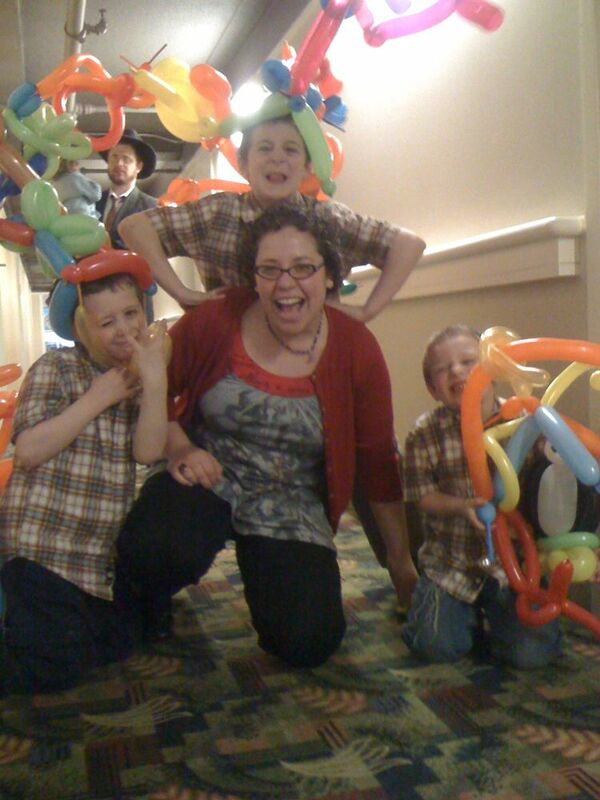 Below are highlights of Naomi’s balloon workshops and creations her students have made.